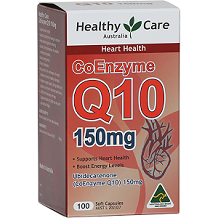 Healthy Care CoEnzyme Q10 is a supplement that is claimed to not only promote a healthy heart but also support energy production, maintain healthy cholesterol levels, improve muscle function and prevent cells against free radical damage. In this review of Healthy Care CoEnzyme Q10, we will be analyzing all the facts to see if this manufacturer lives up to its claims. Coenzyme Q10 comes with an array of benefits and is naturally produced within our bodies. It is the main source of energy production. We were unable to find an image of the exact ingredients online and cannot confirm if this product is free of any fillers or binders which may potentially hinder the quality and effectiveness of the CoQ10. We are also unable to verify if it is animal product free and therefore suitable for vegans and vegetarians. The manufacturers suggest taking one capsule a day with meals or as prescribed by a doctor. One capsule a day will only provide a serving of 150 mg which is significantly lower than the dosage provided by other leading brands. The lower dosage may not be potent enough to deliver any measurable results. It is recommended that if you are on Warfarin therapy you should consult a doctor first before taking these supplements. You can purchase a 100 capsule bottle of this product for approximately $33. It seems the product is widely available from Hong Kong or Australia and shipping to your area cannot be guaranteed. There are no discounted options or bulk purchase deals available for this product. The manufacturer does not stipulate if this product is covered by a guarantee. In concluding our review of Healthy Care CoEnzyme Q10, we have some encouraging things to say about this product. The price is reasonable, and the website is descriptive in explaining use and dose. We do have some negative comments however. We cannot confirm that it is free of any chemicals, fillers, binders or preservatives which could affect the potency and purity of the CoQ10. The dosage is also significantly lower than what most other leading brands offer which means that it might not be potent enough to deliver any noticeable results. One capsule a day will only provide a serving of 150 mg which is significantly lower than the dosage provided by other leading brands. The lower dosage may not be potent enough to deliver any measurable results. We were unable to verify if the supplement is animal product free and therefore suitable for vegans and vegetarians. There are no discounted options for new customers or bulk purchase deals available for this product. There are also no consumer reviews that leads us to believe that this supplement is not a very popular choice and has not shown any effective results worth mentioning. 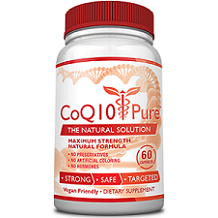 Based on the fact that there is no guarantee and these other reasons, we do not believe that this is the best CoQ10 supplement on the market and advise you to seek alternative options.